The ProKennex Pearl 25 junior tennis racket has a heavier 250g (8.8oz) frame in striking cosmetic that provides the junior player with less vibration to the arm and more stability. 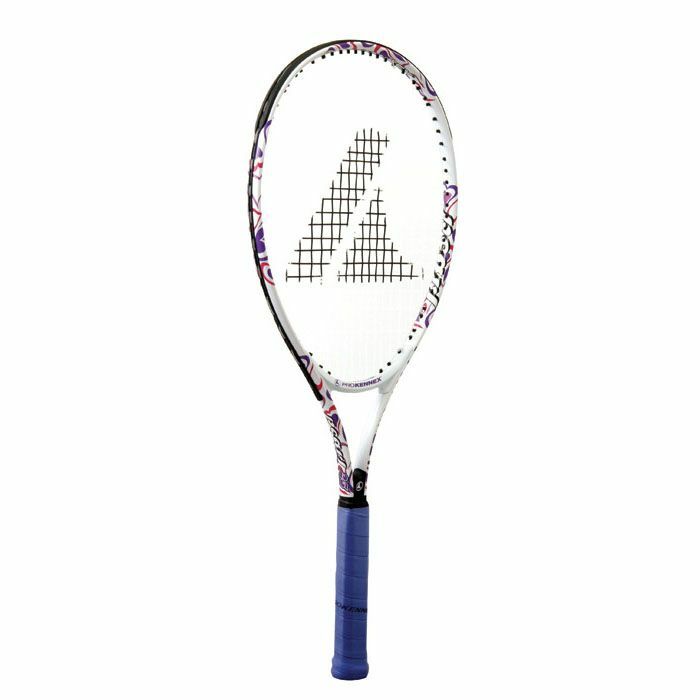 This aluminium racket has a head size of 95in2 (612.9cm2) and an open 16 x 19 string pattern that ensures a solid feel on shots providing more power and spin. 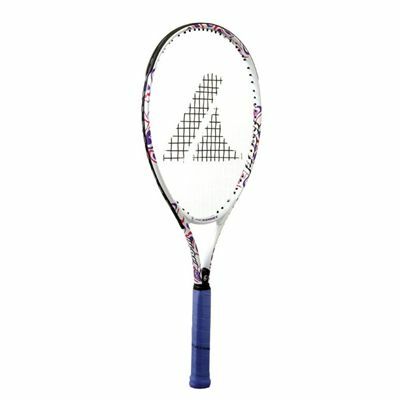 With a length of 25" (63.5cm) the racket is best suited to children aged 8 to 10 who are 4ft 4in to 4ft 8in tall. for submitting product review about ProKennex Pearl 25 Junior Tennis Racket.